Thousands of Americans living in all 50 states took action and registered for the new NVIC Advocacy Portal at www.NVICadvocacy.org during Vaccine Awareness Week (Nov. 1-6, 2010) co-sponsored by the National Vaccine Information Center (NVIC) and Mercola.com. The NVIC Advocacy Portal, a free, online interactive database and communications network to help Americans protect and expand vaccine exemptions in state vaccine laws, was launched during the joint weeklong effort to raise public awareness about vaccine safety and informed consent issues. joint press release issued Nov. 8, Dr. Joseph Mercola urged Americans to join with NVIC and Mercola.com and organize to protect vaccine choices. "Americans should be free to say "yes" or "no" to using vaccines without being harassed or punished for the informed decision they make," said Dr. Mercola. "Like any drug or medical procedure a doctor recommends, getting a vaccine is a personal health choice and the voluntary consent of the patient is absolutely necessary." Dawn Richardson, NVIC Director of Advocacy, who designed the web-based vaccine choice advocacy communications network, developed the Advocacy Portal to make it easier for average citizens to make their voices heard in state legislatures where vaccine exemptions are under attack. Dawn said 'This is a dream for smart phone users who can be viewing a vaccine legislative action alert in their state, while also being able to get in immediate contact with their elected legislators to voice their opinion. We, the people, don't yet have the money to fight drug company lobbyists and doctors, who are camped out in state legislatures pushing for more vaccine mandates and the elimination of vaccine exemptions. This gives us an effective tool to help level the playing field." NVIC developed the NVIC Advocacy Portal because we know it is time to get serious about legally defending the human right to informed consent to medical risk-taking in America. Big medical organizations and doctors with financial ties to vaccine manufacturers are advocating for the elimination of vaccine exemptions in state vaccine laws. We cannot allow ourselves to become captive consumers of every new vaccine that drug companies produce. · a conscientious belief exemption that allows citizens to obey their conscience and their personal or philosophical beliefs regarding vaccination. NVIC's partnership with Mercola.com, which ranks in the top five most visited health information websites in the world, is strengthening and expanding NVIC's three decade call for the institution of informed consent protections in US vaccine laws. Mercola.com hosts NVIC.org and NVICadvocacy.org and has worked with NVIC since 2008 to research and disseminate referenced information about vaccination and health. Click here to make a comment and watch a video interview Dr. Mercola conducted on taking action NOW to protect vaccine choices. Become an NVIC Facebook Fan and get a free vaccine report from NVIC. Click here to register for the free NVIC Advocacy Portal. Click here to make a donation to NVIC. But that has not stopped medical organizations from launching a national crusade to force everyone employed in a “healthcare setting” to get a flu shot every year, whether they have direct contact with patients or not.7, 8 That’s right. Not just doctors and nurses, but every single person who has anything to do with the health care facility, including students, volunteers, and contract workers. An exception could be made if the doctors in charge approve a “medical exemption” to vaccination, which, today, is about as hard to get as a job. It is not a pretty sight to watch doctors acting more like thugs than healers. When doctors threaten people with financial ruin for refusing to shut up and salute smartly, there is something wrong. Trust is replaced with fear and anger. People start asking questions. Questions like: Who will be threatened and punished next for refusing a flu shot? The answer is YOU, me, and every American. We are next in line because when doctors trade in their white coats for military uniforms, going after their own is just the first step on the road to going after the rest of us. If this latest power grab is allowed to set precedent in America, the only question in the future will be: how many vaccines will we be forced to take or lose our jobs, our health insurance, our right to enter a hospital, or receive medical care, or get on a plane, or check into a hotel if we can’t prove we have gotten vaccinated? It is no surprise that Hitler and the Nazis were big fans of Oliver Wendall Holmes.19 By the way, it turned out that Carrie was not mentally retarded after all. Utilitarianism, like eugenics, was discredited during the Doctor’s Trial at Nuremberg after World War II when medical doctors and scientists, who were charged with crimes against humanity, used the utilitarian rationale to justify medical experiments on captive human subjects.20The Doctor’s Trial in 1946 gave birth to the Nuremberg Code and the ethical principle of informed consent, which has been the guiding principle in the ethical practice of modern medicine since then.21 Respect for the informed consent principle protects ordinary people from exploitation by wealthy and powerful individuals, corporations and institutions in society, who are in charge of defining “the greater good” and can easily invoke that utilitarian argument to commit civil and human rights abuses. Now, we come full circle to 2010, as we witness doctors in positions of authority threatening people with loss of employment and financial ruin if they refuse to get injected every year with influenza vaccine, a vaccine that carries two risks: the risk of injury or death and the risk of not working at all. Why are we letting fellow citizens with M.D. or Ph.D. written after their names to tell us what kinds of risks to take with our lives or the lives of our children? Why do we continue to put doctors and scientists on a pedestal in America and fail to put boundaries on the power they too often wield with callous disregard for the informed consent ethic, civil liberties and individual human life? It is unscientific, irresponsible and a gross waste of health care dollars, especially in these hard economic times, for doctors and scientists in positions of authority to conduct an uncontrolled national medical experiment on the American people by threatening societal sanctions for those who refuse to get a flu shot every year. Firing health care workers, already hit by unemployment, for simply exercising their human right to informed consent to medical risk taking, is unnecessary and unethical. The National Vaccine Information Center, which has defended the informed consent ethic in medicine since 1982, joins with other responsible organizations and enlightened individuals, who oppose use of intimidation and retaliation to force all health care professionals to use influenza vaccine.34, 35 NVIC continues to call for informed consent protections in all vaccine policies and laws in America, including liberal medical, religious and conscientious belief exemptions to vaccination. A British historian, who died three years before the 1905 US Supreme Court justices issued their flawed legal opinion about mandatory vaccination, got it right when he said, “Power corrupts [and] absolute power corrupts absolutely.” 36 History has shown that medical doctors and scientists do not know how to wield power without leaving a trail human suffering behind them. It is time for Americans to stand up and draw a line in the sand for doctors, who fail to appreciate the difference between offering a medical opinion and giving an order that punishes people for disagreeing with that opinion. Go to www.NVIC.org for more information on diseases and vaccines. Sign up for our Vaccine E-newsletter and watch for the announcement of NVIC’s Vaccine Advocacy Portal that will give you the tools you need to stand up in your state and protect your human right to informed consent to vaccination. Remember, it’s your health, your family and your choice. 1 Offit, P. 2010. Mandating Influenza Vaccine: One Hospital’s Experience. Medscape. 2 King WD. Woolhandler SJ et al. 2006. Influenza Vaccination and Health Care Workers in the U.S. Journal of General Internal Medicine. 3 Centers for Disease Control. 2008. State-Specific Influenza Vaccine Coverage Among Adults – US, 2006-07 Influenza Season. MMWR. 4 Centers for Disease Control. 2010. Interim Results: State Specific Influenza A(H1N1) 2009 Monovalent Vaccine Coverage – U.S. Oct. 2009 – Jan. 2010. MMWR. 5 Haber P, DeStefano F et al. 2004. Guillain-Barre syndrome following influenza vaccination. Journal of the American Medical Association. 6 Corderoy A. Sept. 19, 2010. Side effects worse than the disease. The Sydney Morning Herald (Australia). 7 Infectious Diseases Society of America and Society for Healthcare Epidemiology of America. Aug. 31, 2010. Press Release: Nation’s Leading Infectious Disease Experts Call for Mandatory Flu Vaccine for All Healthcare Personnel: Vaccines Should be Required for Continued Employment for Healthcare Personnel, Epidemiologists and Infectious Disease Physicians Say. 8 Neale T. Sept. 8, 2010. Flu Vaccine a Must for All Healthcare Workers, AAP says. Medpage Today. 9 Jacobsen v. Massachusetts, 197 U.S. 11(1905. LSU Law Center. 10 CNN. Nov. 15, 2007. Vaccinations or Jail: County’s Threat to Parents. 11 Centers for Disease Control. 2010 Child & Adolescent Immunization Schedules. 12 Centers for Disease Control. Adult Immunization Schedule - 2010. 13 HealthCare Finance News. 2010. Global vaccine market now exceeds $20B. 14 Glorikan H. 2009. Influenza Scare Not the Only Vaccine Driver. Genetic Engineering & Biotechnology News. 15 Kresse H, Rovini H. 2009. Influenza Vaccine Market Dynamics. Nature Reviews. 16 Mautner, T. Jeremy Bentham (1748-1832). The Penguin Dictionary of Philosophy. and Utilitarianism. The Penguin Dictionary of Philosophy. 17 Supreme Court Upholds Sterilization of the Mentally Retarded – Buck v. Bell, 274 U.S. 200, 475 Ct. 584, 71L, Ed. 1000 (1927). LSU Law Center. 18 Encyclopedia of Virginia. Buck v. Bell (1927). 19 Black E. Nov. 24, 2003. The Horrifying American Roots of Nazi Eugenics. History News Network (George Mason University). 20 Seidelman WE. 1996. Nuremberg lamentation: for the forgotten victims of medical science.British Medical Journal. 21 Katz J. The Consent Principle of the Nuremberg Code: It’s Significance Then and Now. The Nazi Doctors and the Nuremberg Code (New York: Oxford University Press, 1992), pp. 227-239. 22 FDA. Feb. 20, 2003. Vaccines & Related Biological Products Advisory CommitteeMeeting Transcript. 24 Simonsen L., Clarke MJ et al. 1998. Pandemic versus Epidemic Influenza Mortality: A Pattern of Changing Age Distribution. Journal of Infectious Diseases. 27 Fisher BL. 2004. Flu Vaccine: Missing the Mark. The Vaccine Reaction (National Vaccine Information Center). 28 Jefferson T. 2006. Influenza vaccination: policy versus evidence. British Medical Journal. 29 Jefferson T., Debalini MG et al. 2009. Relation of study quality, concordance, take home message, funding, and impact in studies of influenza vaccines; systematic review. British Medical Journal. 30 National Vaccine Information Center. 2010. Press Release: NVIC Calls for Expanded Monitoring of Pandemic H1N1 Vaccine Reactions. 31 Collignon P, Doshi P, Jefferson T. 2010. Adverse Events Following Influenza Vaccination in Australia – Should We Be Surprised? British Medical Journal. 32 Associated Press. Sept. 17, 2007. Shot may be inadvertently boosting superbugs. MSNBC. 33 Fisher BL. July 8, 2010. Whooping Cough Outbreaks and Vaccine Failures. NVIC. 34 ACLU. 2009. NYCLU Urges Public Education and Voluntary Vaccine for H1N1 Flu, Warns Vaccine Mandate Violates Privacy Rights. Testimony by Donna Lieberman. 35 Sullivan PL. 2010. Influenza Vaccination in HealthCare Workers: Should It Be Mandatory? Journal of Issues in Nursing. 36 John Dahlberg-Acton (1834-1902). Wikipedia. On October 17, 2009 I was at the Atlanta airport on my way back to Washington, D.C. when I stopped at a newsstand. Like most weary travelers waiting for a plane, I was looking for something to read that would give me a break from my work, which included, two weeks earlier, hosting the large Fourth International Public Conference on Vaccination 1 for an audience of 700 concerned scientists, health care professionals, journalists, legal experts, ethicists and parents from around the world. Suddenly, my eye caught the distorted, photo-shopped image of a baby with the word FEAR in bold letters imprinted on the baby’s chest. I paged through Wired magazine2 to find out who wrote the article and discovered it was a woman named Amy Wallace, one of the many journalists I had talked with in 2009, who had contacted the National Vaccine Information Center3, a non-profit, educational organization I co-founded in with parents of vaccine injured children in 1982. As I scanned the article to find out why it was entitled “An Epidemic of Fear: One Man’s Battle Against the Anti-Vaccine Movement,” I quickly realized it was a puff piece for vaccine patent holder, Dr. Paul Offit, who alleges that vaccine injuries and deaths are largely a myth. I felt a knot in the pit of my stomach as I read the unsubstantiated, unchallenged slur made by Offit against me. And in those two words “SHE LIES,” I knew that the propaganda tactic of character assassination was being used to attack the credibility of my nearly 30 years4 of work as a vaccine safety consumer advocate. Now, I have never met Amy Wallace. We have never shaken hands or shared so much as a cup of coffee together. We had one interview on the telephone in 2009. In a sworn statement5 she stated that she did not use any quotes from our telephone interview in her Wired article. No, she didn’t. She also did not tell Wired readers what I told her, which is that I have always encouraged everyone to become educated6 about the risks of diseases and risks of vaccines and consult one or more trusted health care professionals before making an informed decision - just like every intelligent person should do before using any pharmaceutical product. Instead, Ms. Wallace said she based her description of me on a speech I gave at a conference, a speech that she did not attend. Nobody at Wired magazine called me while they were presumably fact checking Wallace’s article to ask me point blank, “Dr. Offit said that you lie. Do you have a response?” Wouldn’t a responsible journalist or editor have made some attempt to verify such a serious attack on another person’s character? No, Dr. Offit’s defamatory statement remained in the article, unchallenged. I was left with two options: 1) I could ignore it; or (2) I could take action to defend my integrity. After consulting Jonathan Emord7, a constitutional and libel law attorney, I selected option number two. I sought justice in a civil court, which is my constitutional privilege as an American citizen and my responsibility as the president of a non-profit organization, whose supporters depend upon the accuracy, honesty and integrity of what I say and do, as does everyone I know. Requesting a jury trial in a U.S. civil court to sue for slander or libel is not for the faint of heart. You have to review and be prepared to defend the truthfulness of every statement you have ever made and every action you have ever taken in your life. You, your family, friends and colleagues could be subpoenaed and drawn into a potentially very public, drawn-out battle, especially if those you are suing are wealthy, influential and politically connected. I had never sued anyone before and I certainly never thought I would find it necessary to sue a journalist. The majority of journalists I have worked with over the years have been honest men and women, who have taken care to do their research and fairly report the facts without prejudice, including accurately describing who I am and what I do. This was different. I had never been defamed before and I knew I had no choice but to take steps to defend my integrity. I was confident that, if my case was presented to a jury of my peers, I would win. I had no doubt I would win on the facts because I do not lie and there was no evidence that could be produced to substantiate the defamatory statement made by Offit, amplified by Wallace, and printed by Wired magazine published by Conde Nast. After Mr. Emord filed a Complaint with Demand for a Jury Trial8 on Dec. 23, 2009 in a Virginia U.S. District Court asking for one million dollars in damages, we waited for a response from the defendants. When I read the Motion to Dismiss brief filed on Jan. 22, 20109 by the defendants attorneys, I could not believe what I was reading. That CYA brief is better reading material than anything I can write or say here. Instead of providing one piece of solid evidence to support Offit’s defamatory statement, Wallace claimed I could not sue her because she is a resident of California. And Offit, who has no trouble keeping a straight face when he states flatly that it is absolutely safe for a child to get 10,000 vaccines at once and 100,000 vaccines in a lifetime, claimed he was simply having an emotional meltdown when he hysterically told Wallace “flatly” that I lie. And to draw attention away from the seriousness of engaging in libel per se, the defendants’ attorneys argued that “the quoted remark ‘she lies’ is not capable of being proven true or false” because the civil court system cannot prove whether vaccines do or do not cause harm. In my Opposition to Motion to Dismiss brief filed on Feb. 3, 201010, Jonathan Emord and his associates brilliantly outlined why it is inconceivable that the self characterized “dispassionate, objective” Dr. Offit described by Wallace in her article as a “mild mannered” rational man of “science,” suddenly would have lost his mind when maliciously calling me a liar. Mr. Emord points out that it is far more logical to conclude that Dr. Offit knew exactly what he was doing. Mr. Emord also makes a compelling argument that Ms. Wallace knew exactly what she was doing when she wrote an article “void of balanced criticism” that set me up for ridicule as a person “unworthy of any professional association.” Mr. Emord rightly stated that the libel lawsuit we filed was not about “the intellectual debate surrounding vaccination,” it was about proving before a jury of my peers that Offit and Wallace defamed me in order to discredit my long, successful public record of consumer advocacy to defend the informed consent ethic in medicine11. On February 12, 2010, the case was argued in front of Judge Claude Hilton, a Ronald Reagan federal court appointee. On March 10, 2010, a Memorandum Opinion12 was issued by Judge Hilton granting the defendants’ Motion to Dismiss. Third, Hilton offered the opinion that Offit’s allegation “cannot be reasonably understood to suggest” that I am “a person lacking honesty and integrity” and that Wallace and Wired magazine were only reporting Offit’s “personal opinion” about my “views” and none of the defendants intended to make a “literal assertion of fact” that I lie. In other words, they really didn’t mean it. Seriously. That was the substance of their main defense – they really didn’t mean it – and Hilton bought it. However, if all three defendants really didn’t mean it, as they claim in their legal brief, then, ethically, all three defendants should have stated so publicly in a clarification published in Wired magazine to correct the public record. That has not happened. I weighed the option of taking the case to the federal Court of Appeals, where a three-judge panel would have reviewed Hilton’s opinion and had the opportunity to overturn it, as has happened in the past. However, if Hilton’s opinion were overturned on appeal, my case would have gone back to Hilton’s court for a jury trial and he would have been the presiding judge with an obvious bias. In an August 30, 2010 article14 published on the Internet, Wallace addressed fellow journalists about the difficulties of being sued for libel and complained about being called bad names by grieving parents of vaccine injured children, whom she had cruelly demonized in her article. Casting herself as a martyr with Offit for the cause, she said “The beast doesn’t tire, it seems, of taking whacks at those who dare to describe it” and suggested that she had been vindicated by Hilton’s opinion and the inclusion of her Wired article in an upcoming book on Best American Science Writing edited by a doctor with financial ties to the pharmaceutical industry, including vaccine manufacturers. Sadly, Wallace is looking into a mirror when she describes the “beast.” She, Offit and Wired magazine have feasted on the shattered lives of vaccine injured children and their parents to sell magazines. They have taken delight in belittling vaccine victims and those who are trying to help them, while defending bad science and one-size-fits-all vaccine policies that create more vaccine damaged children every day. Amy Wallace, who wrote an article full of factual errors and silly quotes from a doctor hyping vaccine mandates like a used car salesman, is a classic example of the bully who can dish it out but sure can’t take it. During the 1980’s, 1990’s and early 2000’s, I worked with award winning,15,16 truly professional print and broadcast journalists,17,18,19,20,21 who were committed to maintaining high journalistic standards and intelligently covering all sides of the multi-faceted vaccine safety issue. They did not sensationalize and dumb down the conversation to a black and white, “pro” and “anti” slugfest that is the hallmark of tabloid journalism. Do I regret my libel lawsuit, even though I didn’t get my day in court in front of a jury of my peers to prove who is lying and who is not? Not at all. I know I did the right thing when I stood up to these schoolyard bullies, who are desperately trying to shut down all public discussion about vaccine risks, a subject that public opinion polls reveal concerns more than 50 percent of Americans today.23 Perhaps that is because, today, nearly everybody knows somebody who was healthy, got vaccinated, and then became sick or disabled for the rest of their life. Doctors, journalists and judges in denial cannot change that harsh reality. It is a reality that the American people are not going to tolerate for much longer before they rise up, break free, and take back their health and their choices. 1 NVIC.org. 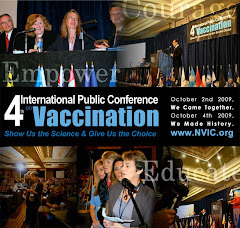 Fourth International Public Conference on Vaccination: Show Us the Science & Give Us the Choice. Oct 2-4, 2009. 2 Wallace A. An Epidemic of Fear: One Man’s Battle Against the Anti-Vaccine Movement. Wired. November 2009. 4 NVIC.org. Biography, Barbara Loe Fisher. 5 Wallace A. Declaration of Amy Wallace, January 22, 2010 in the U.S. District Court Eastern District of Virginia, Alexandria Motion to Dismiss by Amy Wallace and Conde Nast Publications, Inc.
8 Barbara Loe Arthur (aka Barbara Loe Fisher), Plaintiff, v. Paul A. Offit, M.D., Amy Wallace, Conde Nast Publications, Inc., Defendants. Civil Action No. 01:09-cv-1398. U.S. District Court for the Eastern District of Virginia. Complaint with Demand for Jury Trial filed Dec. 23, 2009 on behalf of plaintiff by Jonathan W. Emord with Andrea G. Ferrenz, Peter A. Arhangelsky, Christopher K. Niederhauser of Emord & Associates, Counsel for Plaintiff. 9 Barbara Loe Arthur, Plaintiff, v. Paul A. Offit, M.D., et al., Defendants. Civil Action No. 01:09-cv-1398. U.S. District Court for the Eastern District of Virginia. Motion to Dismiss filed Jan. 22, 2010 on behalf of defendants by John B. O’Keefe, Michael D. Sullivan, Seth D. Berlin of Levine, Sullivan, Koch & Schulz, Counsel for Amy Wallace and Conde Nast Publications, Inc. and John D. McGavin, Heather K. Bardot of Trichilo, Bancroft, McGavin, Horvath & Judkins, Counsel for Paul A. Offit. 10 Barbara Loe Arthur (aka Barbara Loe Fisher), Plaintiff v. Paul A. Offit, M.D. et al, Defendants. Civil Action No. 01:09-cv-1398. U.S. District Court for the Eastern District of Virginia. Plaintiff’s Opposition to Motion to Dismiss filed Feb. 3, 2010 on behalf of plaintiff by Jonathan W. Emord with Andrea G. Ferrenz, Peter A. Arhangelsky, Christopher K. Niederhauser of Emord & Associates, Counsel for Plaintiff. 11 Fisher, BL. The Moral Right to Conscientious, Personal or Philosophical Belief Exemption to Mandatory Vaccination Laws. National Vaccine Advisory Committee, May 2, 1997. 12 Barbara Loe Arthur, Plaintiff, v. Paul A. Offit, M.D. et al, Defendants. Civil Action No. 01:09-cv-1398. U.S. District Court for the Eastern District of Virginia. Memorandum Opinionfiled March 20, 2010 by Claude M. Hilton, U.S. District Judge. 13 The Free Dictionary. Definition of “yellow journalism” from the American Heritage Dictionary of the English Language (2000). Also see the history of yellow journalism. 14 Wallace A. 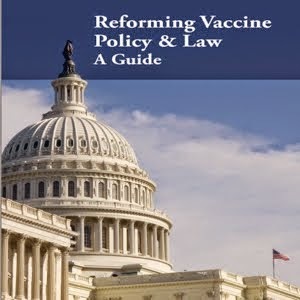 Covering Vaccines: Science, policy and politics in the minefield. Reporting on Health. Annenberg School of Communication, University of Southern California. Aug. 30, 2010. 15 Lea Thompson, Investigative journalist and producer of the Emmy award winning April 1982 NBC-TV documentary DPT: Vaccine Roulette plus news coverage of the National Childhood Vaccine Injury Act of 1986 and licensing of DTaP vaccine in 1996. 16 John Hanchette. Investigative journalist and co-author of The Vaccine Machine, a series of investigative Gannett news reports in 1985 on vaccine risks, gaps in science and operational flaws in the mass vaccination program. And a follow-up Gannett investigative series Vaccine Nation in 1999. 18 Rock A. The Lethal Dangers of the Billion Dollar Vaccine Business. Money Magazine. Dec. 1, 1996. 19 ABC News. 20/20: Who’s Calling the Shots? Jan. 22, 1999. Sylvia Chase, producer. 20 Bookchin D, Schumacher J. The Virus and the Vaccine. Atlantic Monthly. February 2000. The Virus and the Vaccine: The True Story of a Cancer-Causing Monkey Virus, Contaminated Polio Vaccine, and the Millions of Americans Exposed. St. Martin’sPress. 2004. 21 Williams V., Schucker M. Prevnar: A Vaccine Investigation. WFAA-TV (ABC-Dallas). Broadcast Feb. 21-22, 2001. Recipient of 2001 award from Investigative Reporters & Editors. 22 U.S. Department of Health and Human Services Secretary Kathleen Sibelius quoted in an interview: H1N1: The Report Card. Readers Digest. March 2010. 23 Shute N. Parents’ Vaccine Safety Fears Mean Big Trouble for Children’s Health. U.S. News & World Report. March 1, 2010.